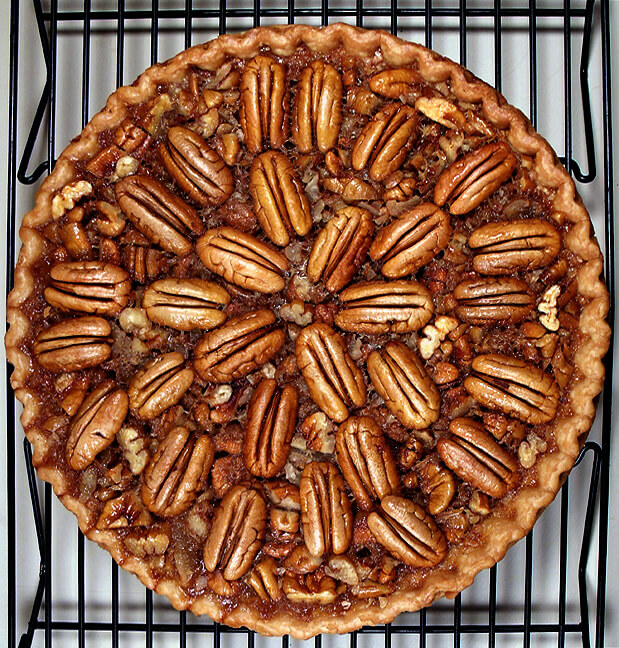 Let’s not quibble and just admit in our hearts that pecan pie is made up of every ingredient condemned by food Nazis as downright deadly: eggs, sugar, flour and lard or butter. It’s a sure bet that not a few of those Aryans have petty issues with vanilla flavoring, and some left-wing faction probably thinks pecans will wreck your colon. But you know what? We shouldn’t care; pecan pie is the most iconic dish of the season. Trust me, use the Karo recipe with light syrup and wrap loosely in foil while baking to prevent scorching. You forgot to mention that the Karo itself is fructose laden corn syrup, implicated in all manner of inflammatory diseases, obesity, diabetes, and hyper tension. Add a quarter cup of your favorite bourbon to your favorite recipe, and bonne apetite! Sometime, try sorghum instead of Karo or half Karo/half molasses for a different taste. I also like a little whiskey in it. Oh, as a Delta Bourbonist you would. Tsk.